Keskerakonnale ja eriti selle liidrile Edgar Savisaarele on mitte-eestlaste hääled olnud aastaid esmatähtsusega. Samas sooviks ka Sotsiaaldemokraatlik Erakond Sven Mikseri juhtimisel panna enda poolt hääletama tuhandeid seni tsentriste toetanud venekeelseid kodanikke. As evidenced by fresh Postimees/TNS Emor popularity poll, Centre Party support among non-Estonians has sunk from 80 to 70 percent. To a degree, soc dems (SDE) do compete. From former near zero, IRL and Reform Party have attained to a few percent of Russian speakers favour. Meanwhile, as compared to December, the defence minister led soc dems have lost Non-Estonia support from 20 to 16 percent. Will wild card Toom do it? Soc dems are striving to cut volume of Estonian language subject teaching in Russian schools and boosting the study of Estonian in basic schools. Will this win them votes while Centre Party is promising that basic schools will remain Russian only and the gymnasiums may decide for themselves? As for the Russian vote, the soc dems might fight Centre Party in Ida-Virumaa mainly, not in Tallinn and its fortress Lasnamäe. To Edgar Savisaar, they are no equal. As also shown in fresh poll: in all of Viru County, soc dem support stands at 23 percent while Centre Party popularity is at 28 percent. Tallinn, however, is the weakest spot for soc dems – only supported by 12 percent while for Centre Party, Tallinn is a goldmine. 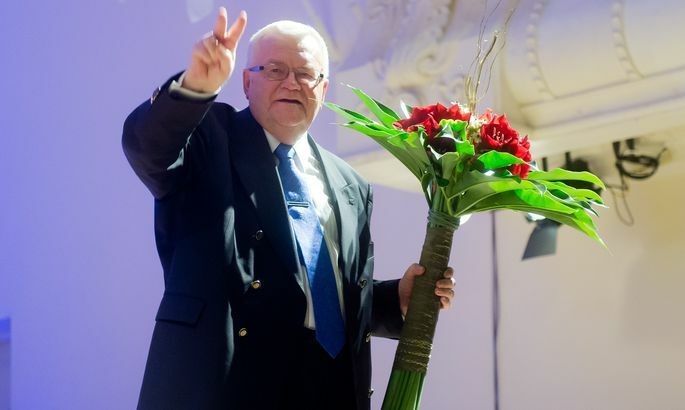 For remembrance: In Narva, Centre Party has been whipped by soc dems in Narva, once, when a year and a half ago at local election Jevgeni Ossinovski demolished the Narva «boyar» Mihhail Stalnuhhin. Centre Party has learned its lesson and is now sending in its EU elections superstar Yana Toom. Last May, the lady reaped over five times the votes in Ida-Virumaa than Mr Ossinovski. «At the moment, Ms Toom is somewhat stronger than Mr Stalnuhhin,» observed Mr Saarts. «But do not write off Mr Ossinovski – surely, he’s got chances there for more votes than, say, Anvar Samost (IRL),» added Mr Saarts. In Ida-Virumaa, it also matters a lot who is the voter’s employer. Over there, minister Ossinovski’s father Oleg Ossinovski is a major one. According to Ms Kablukova, former Kohtla-Järve mayor Valeri Korb, for instance, is diligently visiting the schools and kindergartens – there the staff is on city payroll i.e. Mr Korb is viewed as employer. «People are afraid to lose their jobs,» noted the journalist. Ms Kablukova said the result in Ida-Virumaa do depend a lot on how much the candidates labour locally, and on the events organised. «On February 16th to 22nd there’s the maslennitsa (Slavonic Shrovetide – edit), a time of large trade fairs. On February 24th, the Anniversary of the Republic, the President has his reception in Jõhvi – surely, all the candidates will show up and will be working at the ordinary people,» she listed. But what about the election promises by parties, directed towards the Russian speaking voters – what role, if any, do these play regarding the latter? Among Russian topics, the programmes and public addresses mostly stress language study at Russian schools. They are talking about reducing the non-citizens i.e. making it easier to become a citizen. Why did Reform Party and SDE print these into election programmes at all if it was obvious that these would be ratified in Riigikogu before elections? Verily, the coalition’s, especially the Reform Party’s programme is teeming with promises on updates that are being prepared or executed in ministries anyway. Lo and behold: when on Wednesday the law simplifying citizenship for non-citizens’ children born in Estonia and those over 65 was ratified at Riigikogu, the soc dems managed to issue a press release before Riigikogu ever issued its official statement. Another matter, how massively the non-citizens will want it, able to travel visa free in EU and Russia alike. And: the effect on the elections can’t be measures as non-citizens have no Riigikogu voting rights. Except for the schools, there are not other promises explicitly for the Russian voter really. The only party separately pointing out Ida-Virumaa is IRL, but it’s mainly about bringing added Estonianhood, the Estonian state and its ways to the area. Like the promise to cut corruption in their cities. Regarding Russian schools, soc dems, IRL, Reform Party and Estonian Free Party stand as one: Estonian needs to be taught substantially better in Russian schools. Starting at kindergartens. And with support provided for those struggling. Political scientist and analysts do not think the Russian speaker issue will rise to be central at the elections. «Due to the geopolitical situation, there’s more of the topic, doubtless, than in 2011,» admitted Mr Saarts. «Some parties are again banking on the nationality-based opposites i.e. the old Russian card,» said the political scientist, hinting at the attempt of Reform Party to, through the mouth of the Prime Minister, to again whip up the confrontation between the parties ruling Estonia and Tallinn – the latter securely under Centre Party control. Looks like the hold horse ain’t giving him the desired ride, though.